Romans 10:17 AMP So then faith comes by hearing [what is told], and what is heard comes comes by the preaching [of the message that came from the lips] of Christ (the Messiah Himself). Faith comes by hearing what is told! Whatever you hear the most freqently is what you will place your faith in. It works in the negative as well as the positive. If you hear condemnation, negativity, doom and gloom your heart will respond with a low self esteeem, fear of failure and depression. Your actions will follow because every action is birthed through your thoughts. The primary attack of the devil, the accuser of the brethen, comes through his arrows of negative thoughts shot into your mind. That’s why God’s word says in 2 Corinthians 10:5 that we are to take every thought captive and bring it into the obedience of Christ. Brother Kenneth Hagin used to say that you can’t stop a bird from flying over your head but you can stop him from building a nest in your hair. Well, you can’t stop negative thoughts from coming into your mind, but you CAN stop them from taking root and growing there. To have faith in God’s good plan for your life and to refute the negative thoughts that come into your mind you must arrest the negative ones and replace them with the truth of God’s word. 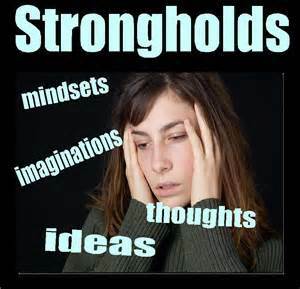 Satan will try to set up a stronghold in your mind through repetitive thoughts. Philippians 4:8 in the Amplified Bible says that we are to “fix our minds” on good thoughts. Many are fearful today because they are hearing the bad that is going on in the world. They then “fix their thoughts” on ISIS, fighting and unrest in the world, persecution and horrible acts of mistreatment. Then the thought comes that “what if “it happens to me? And from there fear takes root in the heart. If a person “feeds” on horror movies those will be the thoughts that constantly come up in the subconscious mind. Many of the horrible acts of mass shootings are the acts of children’s minds that have fed on video games and T.V. shows where those things, or like things, are the focus. They are simply acting out what they have focused on through their young lives. God has a good plan for each person’s life. In order to experience it you must have faith in the “good” that He has planned for you and “refute” the negative thoughts that go against His word about you and for you. The only way that can happen is by “hearing” and “hearing” the word of God and listening to His voice through prayer and Bible study. If you hear His voice though His word and by His Spirit and then confess the good news of His Gospel over your life you will evetually change or “renew” your mind so that the negative isn’t what you are believing and expecting to happen in your life. Focus on God’s word, not what is happening around you! It’s been almost a week since we pulled into the RV Park that has been our home base here in Asheville, North Carolina. Today we have been cleaning and rearranging things in the RV to make it more comfortable as a full time “home on wheels”. This is a new experience for us and I feel a little like Abram must have felt when the Lord spoke to him to move from his home in Haran to wherever He was taking him. Genesis 12:1 AMP NOW [in Haran] the Lord said to Abram, Go for yourself [for your own advantage] away from your country, from your relatives and your father’s house, to the land that I will show you. Verse 8 From there he pulled up [his tent pegs] and departed to the mountain on the east of Bethel and pitched his tent, with Bethel on the west and Ai on the east; and there he built an altar to the Lord and called upon the name of the Lord. 9 Abram journeyed on, still going toward the South (the Negeb). Since we sold our home and moved into an RV full time it has been a learning experience; one of faith and at times a little bit of uncertainty. There are new things to see and new challenges to overcome. Our mail is being sent to a mail forwarding service in South Dakota and will be sent to us at our request when we arrive at a destination that allows for the amount of time it takes to send the mail. If we enjoy this lifestyle and want to stay out on the road we will establish a South Dakota residency to accommodate our needs for voting and vehicle registration, licensing and insuring. Just as Abram learned to trust God one step at a time in his journey to parts unknown so I am learning as I go. This is a new season in our lives and as is typical for all new experiences, faith is required. My husband is more of an “edge walker” than me so my faith is probably more challenged than his. I tend to enjoy a life of security and stability. Thus, a home on wheels with family no where near, has been a little bit of a challenge for me at times. But when fear comes calling I dig my heels in deep and rest in the peace that comes from the Lord and, as I spend time in His word, my faith is strengthened. Just as Abram had to leave his place of comfort so we have left home, family and friends to move forward into the next phase of life for us. 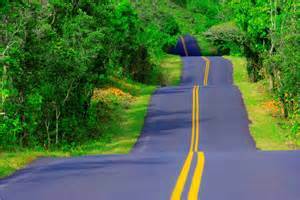 Our final destination is unknown; we have some areas of consideration and know that as we seek God’s will our path will be shown to us. Hebrews 11:8-10 AMP [Urged on] by faith Abraham, when he was called, obeyed and went forth to a place which he was destined to receive as an inheritance; and he went, although he did not know or trouble his mind about here he was to go. [Prompted] by faith he dwelt as a temporary resident in the land which was designated in the promise [of God, though he was like a stranger] in a strange country, living in tents with Isaac and Jacob, fellow heirs with him of the same promise. For he was [waiting expectantly and confidently] looking forward to the city which has fixed and firm foundations, whose Architect and Builder is God. So, as Abraham, we are dwelling temporarily in a fifth wheel in parts of the country that are unfamiliar to us but that we are privileged to see and enjoy. We are “temporary residents” here, prompted by faith and looking forward with expectation and confidence for the city and home that God has prepared for us and will lead us to.